Lash Out with Eyelash Extensions! Lash extensions are a glamorous way to extend the length and thickness of natural eyelashes, and a beautiful way alternative to the daily use of mascara. Unlike decades-old, traditional false lashes, lash extensions are the first innovation in lash lengthening that can be worn daily , without nightly removal. Lash extensions can be worn throughout the year with minimal monthly maintenance. Touch-ups are recommended after the initial full set to refill any lashes that have cycled out. To maintain the full, thick appearance eyelash fills are recommended every 2 - 4 weeks based on your own natural lash growth cycle. When applied properly, lash extensions will not harm your natural lashes. At The Hudson Salon & Spa we use the Nova Lash application technique that allows the natural lash to grow and thrive with the extensions. This technique requires several different "separation" steps during the application process so each extension is adhered to a single natural lash . Whether choosing a natural look or a more glamorous lash a consultation is given prior to the lash application. Lash Extensions come in a variety of lengths, thickness, and volume. Currently, the trending styles are volume lashes where you have multiple fine lashes stacked for a flare effect. We offer synthetic, mink and Siberian mink, varies lengths & thickness. Complimentary Color Gloss this October 2015 at The Hudson! Mobile Massage in the comforts of your home - The Hudson Salon & Spa. Radiant Skin 2015 at The Hudson! Beautiful skin is only 30 minutes away at The Hudson! A New Year ... A New You! 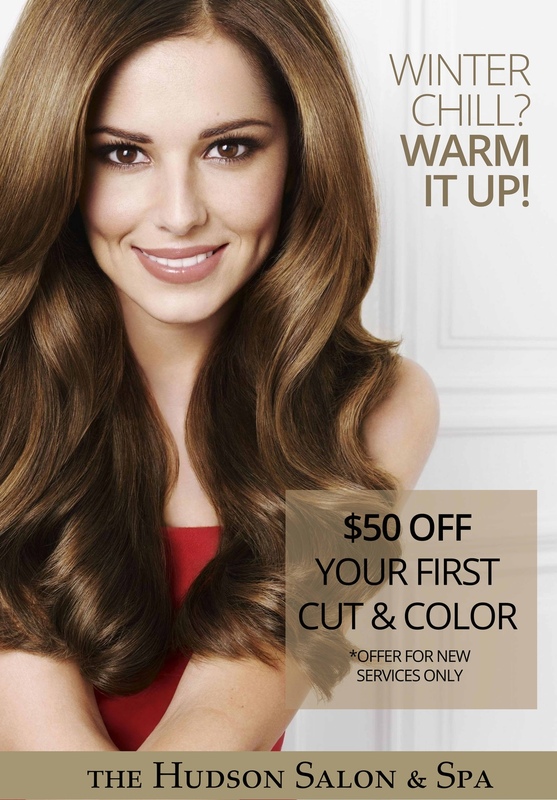 $50.00 off your first color service! Ready for a color change in 2015? Did you know that massage therapy is one of the oldest forms of health care today? There are dozens of massage techniques that are used for a variety of different conditions and problems. Massage therapy is one of the leading alternative health practices used in the Western world. This form of bodywork is used to improve function within the body. Using their hands in a variety of different techniques, massage therapists manipulate the soft tissues in the body to promote relaxation and improved circulation. Massage therapy promotes general health and well being in a client, and to prevent future medical issues. Also useful for stimulating the lymphatic system to boost the immune system and get rid of toxins in the body. Experts estimate that upwards of ninety percent of disease is stress related and perhaps nothing ages us faster, internally and externally, than high stress. 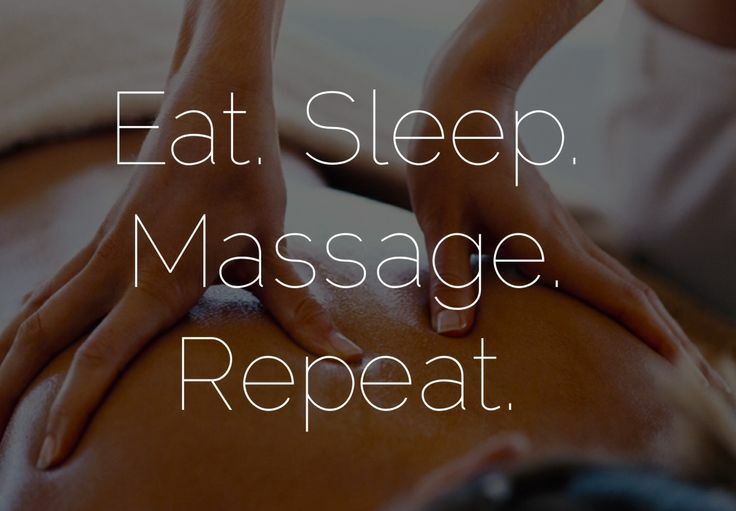 Everyone handles stress differently, and we think massage therapy is one of the best ways to relax and begin to reduce stress is to simply make time for yourself. Book a massage at our Spa today! Considering a chemical peel? At The Hudson Salon & Spa I recently underwent my first Vi Peel and thought I would share my results. In the past I have done a few types spa facial treatments. Lasers, vitamin C facials, microdermabrasion all for hyperpigmentation caused by the sun. All of these spa treatments have given me positive results. Skin care is all about hydration, sunscreen and true maintenance! I had heard about chemical peels but it always seemed a bit daunting not knowing what the downtime and side effects (pain & peeling). I have normal healthy skin but sensitive as well. The Vi peel is designed to treat fine lines, scars, acne and get rid of summer skin. I do wear sunscreen when out in the sun but the “cute” freckles turn into age spots and they had to go. After discussing the spa treatment, peel time and outcome I decided to try it. The treatment takes about 30 minutes in total. In my experience, it wasn't painful at all. The sensation when the peel was applied I would compare to a peppermint heat for about 45 seconds- no fan was needed. After the first pass the peel numbs your skin and 3 more passes are done. The peel is applied with cotton type pad and crisscrossed in direction across your face and neck too if you choose. I added the booster to the Vi peel which makes the peel 25% stronger. You are sent home with instructions retinol pads, hydrocortisone and sunscreen to follow up. That evening my face proceeded to redden much like a sunburn or windburn from skiing. It was very warm similar to a sunburn but not painful like a burn from a stove. It did become a bit itchy; I applied the retinol wipes & hydrocortisone before bed. On the second day after treatment I started to peel, mouth up. You are told not to assist the peel by pulling on the loose skin (which is very hard to do!). I applied Aquaphor for moisture and did my best to leave it alone. As it peeled heavily for the next 2 days you could see the new skin underneath was slightly pink but so smooth and soft. 5 days after the treatment my skin was amazing! It took at least 2 years of sun and fun off of my face, I couldn't believe it. It is definitely the best skin treatment I have done and will absolutely being doing the Vi peel again. Since the peel I have been only wearing sunscreen and no foundation. My pores are smaller, the hyperpigmentation is almost completely gone & my skin is so soft. As in any spa treatment for best results multiple services give you the best results. For the Vi peel it is recommended no sooner than 6 weeks between services unless your are treating something very serious like acne or rosacea. There truly is no “downtime” just peeling time. I would recommend the Vi peel to everyone who wants to renew their skin. The Vi peel is the next generation of chemical peels only available to physicians. This spa treatment would be ideal to have done before your wedding, As your wedding day is the most important day, you will be camera ready. This spa treatment makes your skin flawless! The Hudson Salon & Spa works with Dr Bunkis from Orange County Plastic Surgeon group to provide you with the Vi peel.